Dr. Rick Mai, MD, is certified in the fundamentals of laparoscopic surgery and is experienced in basic and complex laparoscopic techniques, the use of robotic surgical systems, surgical critical care, and surgical oncology. 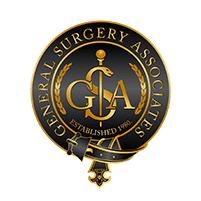 Each patient that Dr. Mai treats at General Surgery Associates benefits from his deep knowledge and extensive experience. Dr. Mai attended the University of Southern California and graduated with a Bachelor of Science degree in biochemistry. He went on to earn his Doctor of Medicine from the John A. Burns School of Medicine, completed a general surgery internship at the University of Colorado School of Medicine, and residency at Allegheny General Hospital. Dr. Mai speaks both English and Vietnamese fluently.